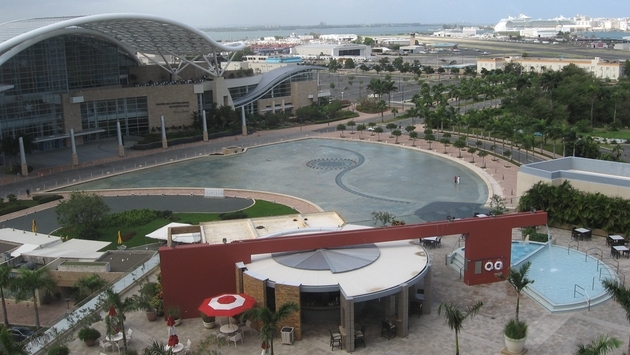 PHOTO: Puerto Rico’s convention center district will welcome a new Hyatt Hotel this month. (Photo by Brian Major). Puerto Rico is a destination that offers a little bit of everything. Old San Juan features cobblestone streets, magnificent colonial buildings and historic fortresses. The trendy Condado district features hip hotels and restaurants operated by top celebrity chefs. Active vacationers can travel to Orocovis’s mountains to traverse the world’s highest zip line, or visit the 300 foot-high cliff and bioluminescent bay at Fajardo. Yet despite its multitude of attractions and activities, Puerto Rico’s tourism stakeholders, represented by the Puerto Rico Tourism Company (PRTC), Meet Puerto Rico and the Puerto Rico Hotel & Tourism Association, are looking ahead. Officials at these organizations direct Puerto Rico tourism policies and practices that support the destination as it welcomes a new generation of hotels and an expansion of its meeting facilities and tourism infrastructure. We spoke recently with Mari Jo Laborde, PRTC’s chief sales and marketing officer, Milton Segarra, president & CEO of Meet Puerto Rico and Clarisa Jiminez, president and CEO of the Puerto Rico Hotel & Tourism Association, for an update on the latest Puerto Rico hospitality and tourism news. TP: What new hotel developments are taking place in Puerto Rico? Mari Jo Laborde: We’re opening three new properties with about 500 rooms in the next two months. The first is the first Hyatt House hotel opening this month in the convention center district. Hyatt House is more of a long-term stay brand. It’s a great product addition to the convention district and will provide planners and organizers the room to set up meetings just outside of the convention center. The hotel is right outside of the convention center so it adds rooms to the block when you’re booking a convention. The other large opening is the Condado Vanderbilt Hotel in December. The hotel has already been operating its meetings and events space for about two years, and they’re opening a hotel with 323 rooms. It’s a five-star property featuring 1920’s glamour with a modern twist including all of the modern technologies. The Blok is a smaller hotel of about 23 rooms. Based on the Puerto Rican island of Vieques, the boutique property will open with a restaurant that will be operated by one of Puerto Rico’s most acclaimed new chefs, Jose Enrique. TP: What does the Hyatt project bring to the convention center district? Milton Segarra: This project will certainly make the convention center and the district more attractive and open up for us as a destination other groups that are looking for a convention center in a district that is fully developed with hotels and entertainment. It’s close to the most important tourist zones like the Condado district and Old San Juan and also the international airport. That’s the beauty of Puerto Rico. We don’t just depend on one segment. You have a very solid leisure segment, a very solid business in conventions and we also have a very important local market. TP: What other projects and programs are on tap on the tourism front? MJL: We’re going to launch our first international tourism expo on May 13 to 16, 2015, at the convention center. We’re really excited about it. We’re going to have a whole section on Puerto Rico and also a section on the entire Caribbean and other international destinations and products. 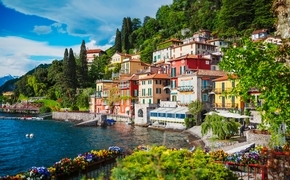 It will be especially designed for travel agents with educational customer service programs. Clarisa Jiminez: Saborea Puerto Rico is a four-day event on April 4 to 7, 2015. We’re going on our eighth year, and in addition to full-day events we have "Bubbles and Bites," which goes through the weekend and has the participation of 15 top chefs of Puerto Rico. All of the drinks served have bubbles in one way or another. It’s a very fun event where you have music, on the beach and it’s very relaxed. The following day we have a fabulous dinner, "A Privileged Taste of Saborea," where we have 20 of our top chefs. Each one cooks for a table of 10 people and serves the wine. Diners have opportunities to talk to the chef during the three-course meal. At the end of the event we have an area where everyone can get together and have coffee and drinks and everyone can talk with the chefs. There demo kitchens on Saturday and Sunday. It’s held in a very beautiful area where you have an incredible view of the ocean, Old San Juan and the Condado district too. The host hotel is the Caribe Hilton. TP: How have Puerto Rico’s tourism promotion initiatives impacted overnight stays and tourist arrivals? MJL: Our occupancy has been impacted by our own hotel growth. So we are really happy that hotel occupancy is equal to slightly above last year. Average daily rate is about 15 to 18 percent above last year depending on the month, driven by growth at the luxury end of the market. We’ve also seen our airport arrival numbers increase from around eight million passengers to about 8.5 million within the last year. Cruise passenger movements have increased 50 percent in the last two years. We are going to be surpassing the 1.5 million passenger mark in this fiscal year; that is a benchmark historical high for us, up from around one million passengers two fiscal years ago. We will host Royal Caribbean’s Quantum of the Seas in December, the largest ship ever to arrive in Puerto Rico. That’s been because of a major remodeling of Pier Three in San Juan. Also our increase in air arrivals has been accompanied by a complete remodeling of our airport. Phase one of that remodeling will be finished by November and the completion of all of the remodeling will occur in December 2015. The remodeling will centralize the passenger movements so connections are easier, and it will also provide a stronger commercial and shopping experience for the passengers when they are in San Juan. TP: How has Puerto Rico managed to remain a successful destination in challenging times? CJ: There are many other events that go on during the year, that’s why Puerto Rico is a year-around destination. There are so many things going on including the San Sebastian street festival, the Marathon San Blas, the PGA tournament in March and the Ironman tournament in March. It gives people a reason to visit Puerto Rico at any time. Our return business has always been very high, over 50 percent, throughout the years. TP: How does Puerto Rico’s meetings business impact the tourism product? MS: For associations and city wide conventions, the booking cycle goes from three years to 10 years. That pushes us to have a business model from a branding and sales point of view that makes sure we are effective with people who want to book business now and the people that will come in the next three to 10 years. That’s why our organization is important – we are taking care to make sure that process goes on uninterrupted. There has to be someone from the destination that the meeting planner is certain will be there. Somebody has to be the goalkeeper.